Fantastic news for New Mexico’s own Pathless Land. 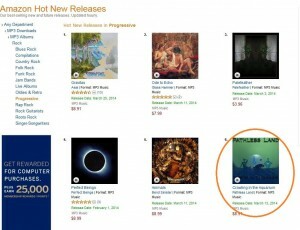 Two weeks after the release of their debut album “Crawling in the Aquairum” it has hit number 6 on Amazon’s ‘Best Selling’ list for Progressive Rock. A great result for a band that deserves it.